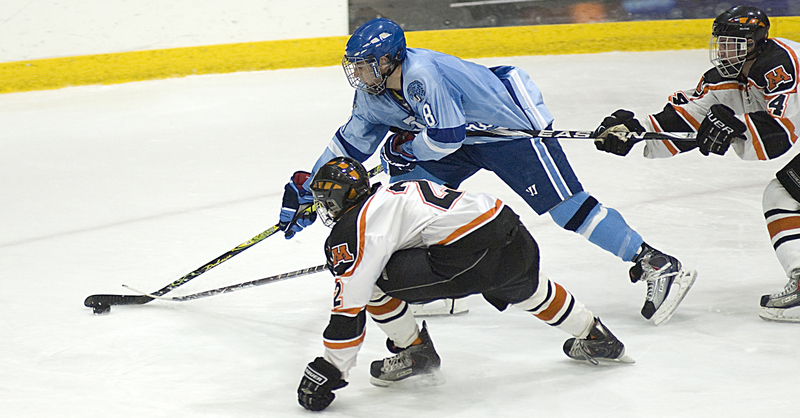 Bloomington Jefferson, known for its high-flying, fast-skating ways, went back to the basics to beat Moorhead Saturday night at the Moorhead Sports Center. The No. 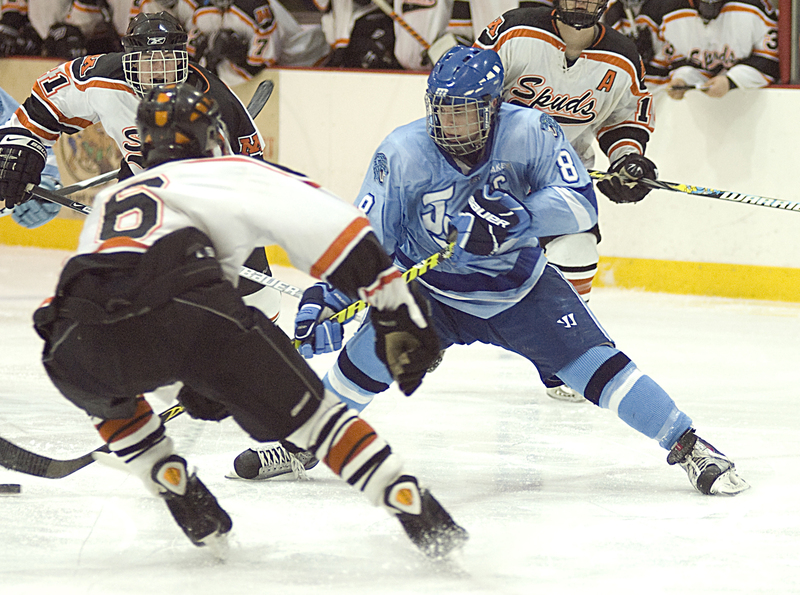 6AA Jaguars (16-3-2) just pounded the Spuds (9-8-2) into submission. 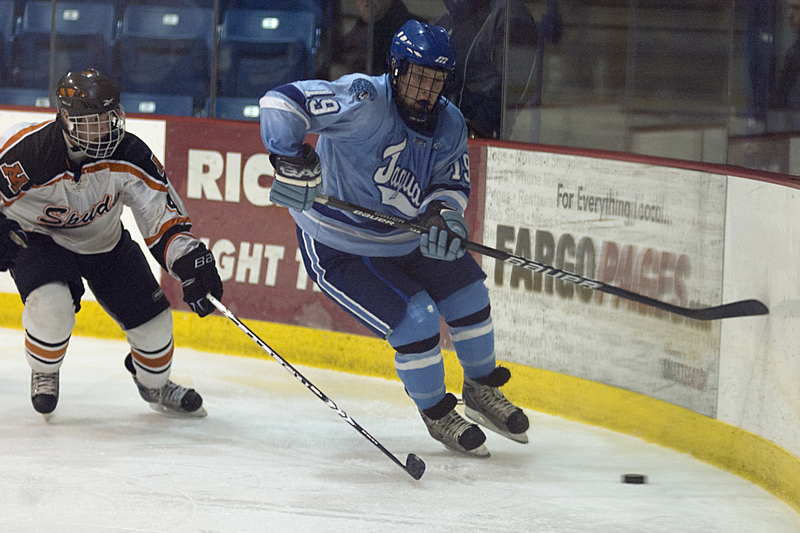 Trailing 1-0 midway through the first period, Jefferson went to the body to knock Moorhead off its game. The Jaguars immediately responded, erupting for six unanswered goals to cruise to a 6-3 victory. Senior Caleb Herbert kicked off the onslaught with an even-strength goal at 8:42 of the first period -- then ended it with a power play tally at 7:54 of the third period. In between, his teammates scored four more times to build an insurmountable 6-1 lead. "Our physicalness really started to take a toll on them," Jefferson coach Jeff Lindquist said. "We just moved the puck and were able to create great scoring opportunities." It was the second victory for the Jaguars in two meetings between the perennial powerhouse teams this year. 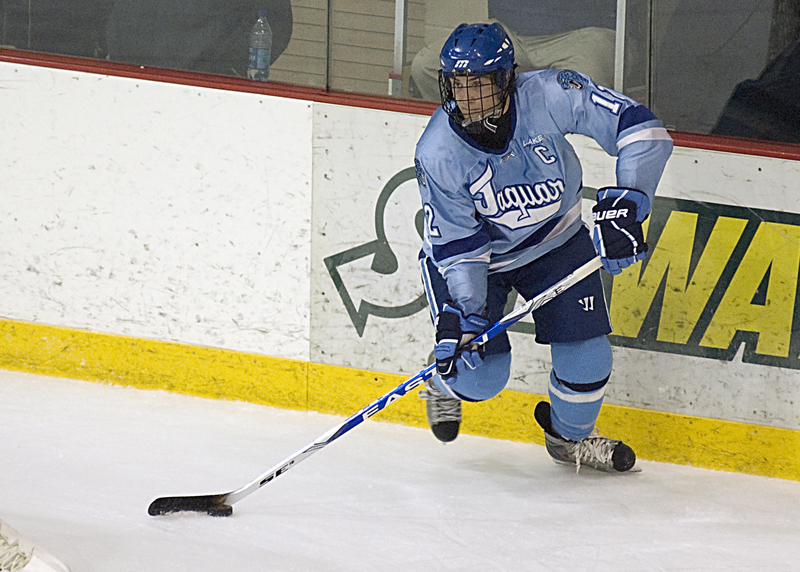 Jefferson also took the first game, 4-1, at the St. Louis Park Holiday tournament in late December. "Our kids now how quality a team this is. They know they have to be ready to play and execute," Lindquist said. "We really looked forward to this." 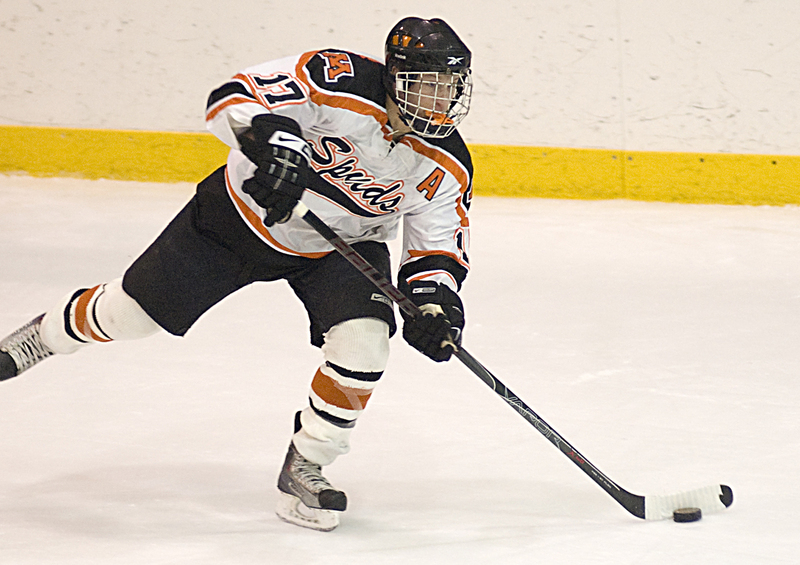 The Spuds took a 1-0 lead just 5:18 into the game, when sophomore Bryant Christian scored on an assist from Nate Thompson. But Moorhead couldn't hold up against Jefferson's physical forecheck. "We learned a little bit about when they crank it up, it gains momentum and how the physicalness can change the game when we bring it to people," Lindquist said. "It was just another good tough road victory." After Herbert's goal tied the score at 1-all through one period, Jefferson got second period tallies from Nick Nielsen, Cam Bentz, John Roisum and Eric Freschi. In the middle 17 minutes, the Jaguars outshot Moorhead 19-3. "That second period was as good a period as we've played all year," Lindquist said. "The kids were hungry and moving the puck. If we do that, it's pretty tough." Herbert's third period score made it 6-1 and took the usually boisterious Spuds' fans out of the game. 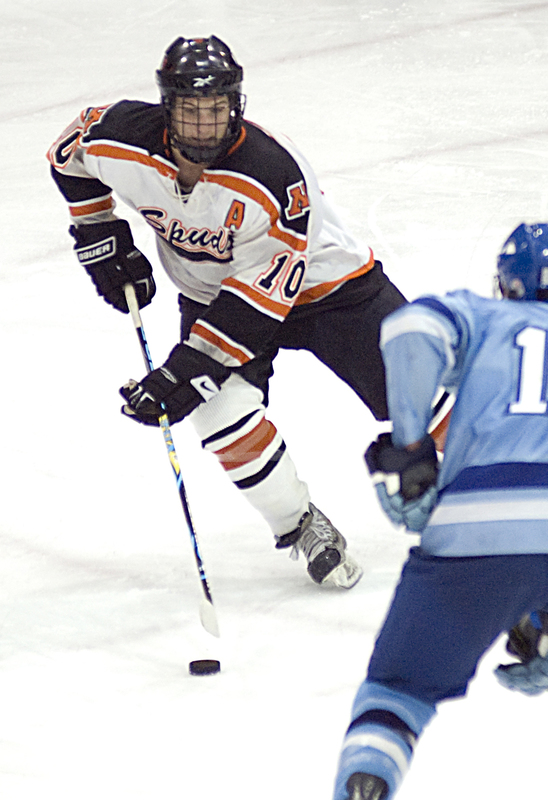 Moorhead did manage to close the gap in the final seven minutes, however, scoring a pair of special teams goals. With Jefferson down a man, Spuds' senior defenseman Nate Thompson ripped a wrister from the blue line with 6:14 remaining to cut the lead to 6-2. Then with 1:03 left, Kyle Kraemer sneaked behind the Jaguars' defense and was chopped down from behind -- with the referee immediately signaling a penalty shot. Kraemer converted on a slick deke to his forehand, but it was too little, too late for the Spuds. Moorhead senior goaltender Logan Marks was busy, making 27 saves, two dozen of which came in the final two periods. 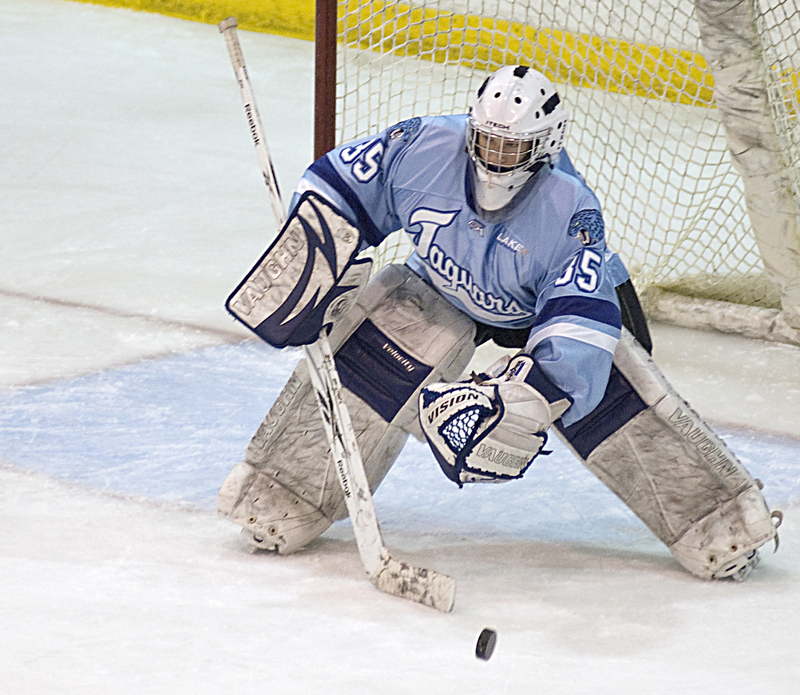 Sophomore Eric Fabiano got the start for the Jaguars, making 12 saves. for the victory. Jefferson's senior star forward started the team's six-goal outburst with an even strength goal and ended it with a power play tally. He also assisted on the fourth goal by John Roisum, which turned out to be the game-winner. Herbert, a UM-Duluth recruit, was a physical presence up front for Jefferson. The Princeton-committed senior defenseman was his usual self for the Jags, spending at least half of the game out on the ice and creating plenty of offense from the blue line. Faust had a pair of assists, but was also a big factor by using his body to pound the Spuds. Sure, Moorhead's senior goaltender allowed six goals, but he was peppered over the final two periods and did well to keep it that close. Marks had several back-door stops on Jefferson power plays that looked like sure goals when the plays were made. He made 24 saves over the final two periods and 27 for the game.